Named “Applause,” the rose is genetically-modified to synthesize delphinidin, a pigment found in most blue flowers. The rose was first released in in Tokyo in 2009, after 20 years of research by Suntory, a Japanese company that also distills whiskey, and its Australian subsidiary, Florigene (now Suntory Flowers). Today Suntory announced the rose will be for sale at select florists in North America, beginning early November. 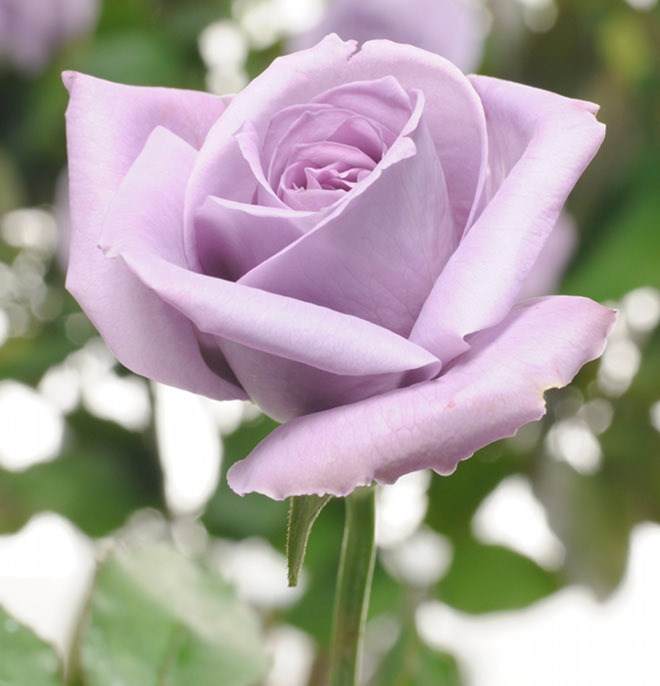 While the flower might appear more silver-purple than sky-blue, Applause is the nearest to a true blue rose yet. 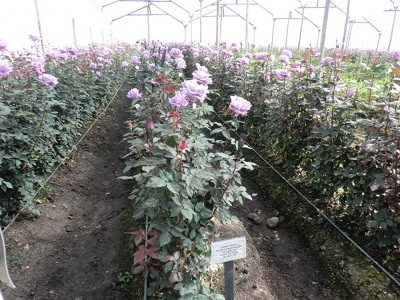 Arguably the world’s best loved flowers, humans have cultivated roses for more than 5,000 years. Roses can signify love, beauty, politics and war. Blue roses have a mythic quality since they, until recently, were impossible to grow. Roses appear naturally in many shades of red, pink, yellow and white, but lack the natural ability to produce blue pigments. For centuries blue roses have conjured unrequited love or the quest for the impossible. Blue roses traditionally available through florists have been white roses dyed blue. Suntory and Florigene achieved the blue color inserting a delphinidin-producing gene from a pansy into an Old Garden ‘Cardinal de Richelieu’ rose. When debuting in Japan, Applause was sold for 10 times the price of normal roses.